How can we capture philosophy and provenance through our brand? 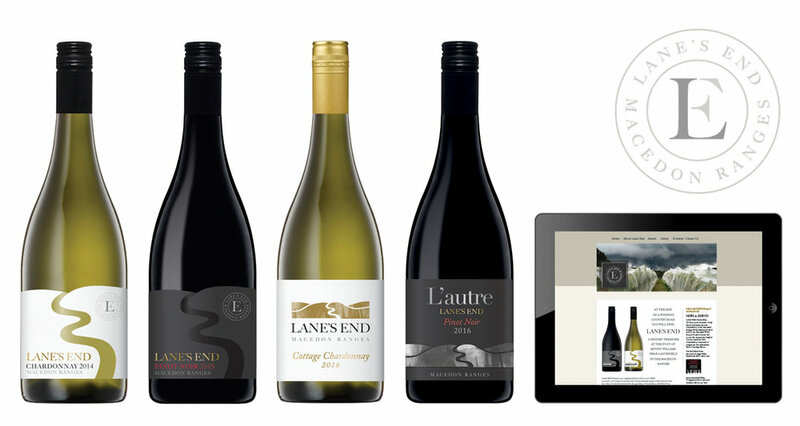 Lanes End is a small scale artisan wine brand based in the Macedon Ranges, famous for it’s cool climate Chardonnay, Pinot Noir and sparkling wine. Situated at the end of an 8km winding Lane at the foot of Mount William near Lancefield, Lane’s End wine is an expression of the French approach to winemaking 'terroir'. The brand identity and label design captures this sense of unique location and environment with a hand crafted and elegant style that stretches across the label range, through to promotional and onshelf material.